Vintage Textile, c. 1780s (click through for more). This is the waist edge at the center back of the bodice. 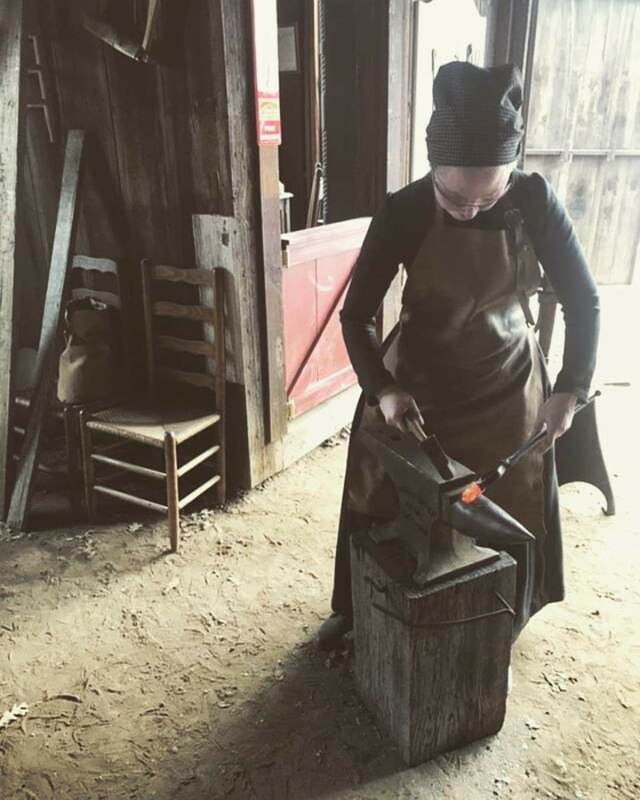 For me, over the years I've become more and more interested in the original construction techniques of various garments. I know how things are put together today but how did mantua-makers in the past approach garment-making? 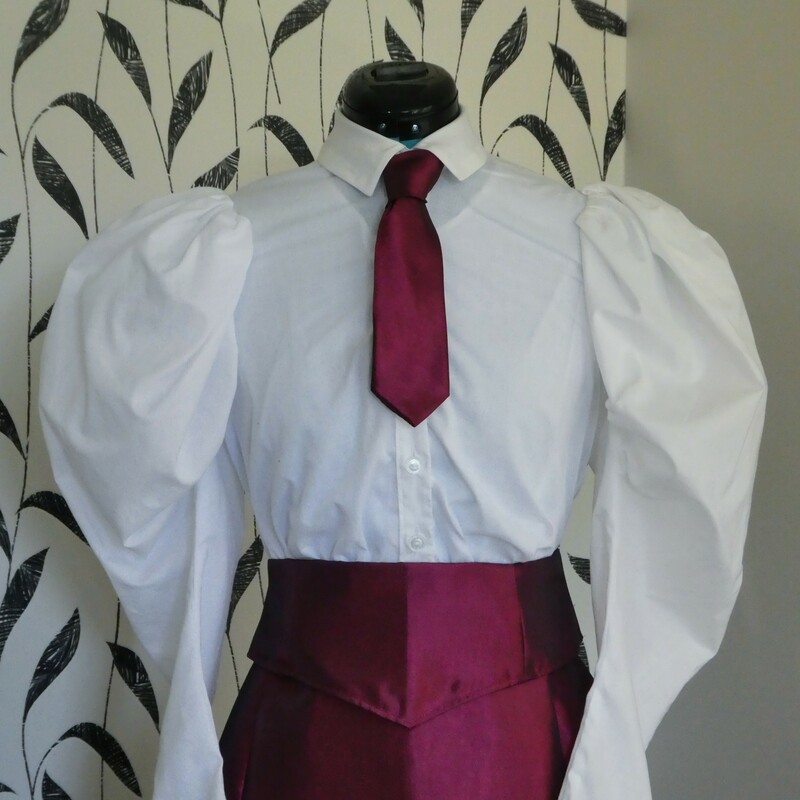 We face the same challenges across the centuries - draping, fitting, setting sleeves (ugh!) - but we come at them from different perspectives and experiences. The back of the bodice, interior - what do you see? There are boning channels at the center back. The armscyes are left raw; there's some top stitching and facing around the neckline; I see two whipped seams either side of the CB; the side back seam was finished in the lining then the outer fabric applied and top stitched. The more we look, the more clues are revealed. Vintage Textile - click through for more. With 18th century dress I'm fascinated by the "order of operations." The Georgian mantua-maker seemed to do everything in reverse, fitting the lining of the gown first, then building the glorious outer garment atop, making heavy use of top/visible stitching and working from the outside of the garment. They appeared to give few hoots about interior finishing. 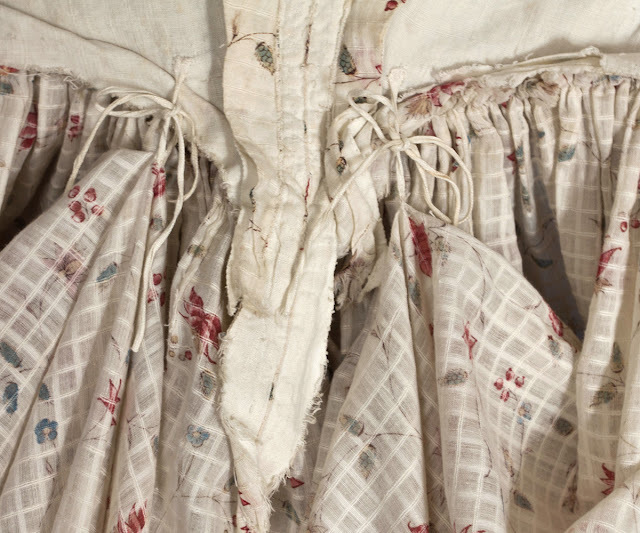 The interiors of surviving 18th century gowns are often a hot mess. Many a gown shows raw edges at the waist seam and armscyes. At the same time, some archaic stitch techniques were used to produce clean and efficient seams. Vintage Textile - gown - 1770s-80s. This is the center back where the skirt is stitched to the bodice. Feel better now? This idea of efficiency seemed to override everything else - how quickly can the garment be put together, and how quickly can it be disassembled and re-made? How easily can your milliner get that old trim off and get the new, fashionable trims on? 18th century people were an impatient lot - they expected their gowns fast and the milliners and mantua-makers obliged. Fabulous on the outside, janky on the inside. For *lots* more Georgian gown interiors, check out our Pinterest board. 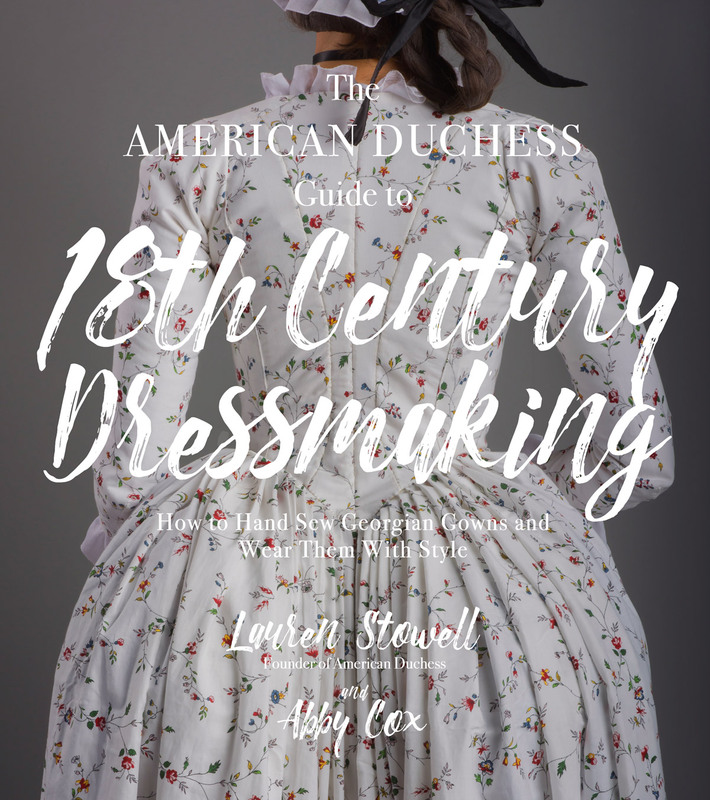 To learn how to construct these gowns by hand with the original methods, pre-order The American Duchess Guide to 18th Century Dressmaking . You know after a six-post-long lecture on research, you should not label this particular post "research". For your pictorial evidence you are literally just taking other people's pinterest collections wholesale - along with the jaunty descriptions. And you take both at face value. (Or is "ex-Francaise" a technical term I never heard of?) There is no editorialization here or even a good selection: the "1780s Francaise" pin is without any attribution, source or alternative view and might not be an original. The fact that it is a *1780s* robe à la francaise should ring a few alarm bells. And your point? Yes, some of these dresses are shoddily finished. But a lot of others are good on the inside, the court gown bodice in your pin collection is practically perfect. You would not get a better looking one from any haute couture's atelier. This is not research and this is not an informative post. It's an informercial using other people's shoddy research. Sorry you didn't like the post. Pinterest is just a place to corral images and study later on. I didn't say that all 18th century gown interiors are rough, just that a lot of them are, with pictures here in the post to illustrate. By the way, if you click through these photos in the blog post (not the Pinterest board) you'll find more information on each gown, and more photos. 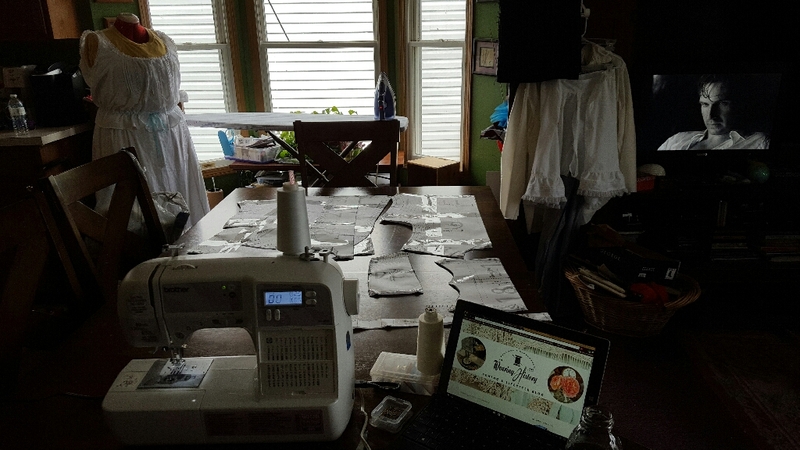 My point is not that the gowns are shoddily finished but that by today's standards of "perfect inside and out," the linings are often left raw on edges and the stitches rough. That's all. By the way, you might want to do a little more research if you think sacques didn't exist in the 1780s. I love the blog and steadfastly wish that know it all trolls who sign things "Anonymous" would roam elsewhere to peddle their poison. 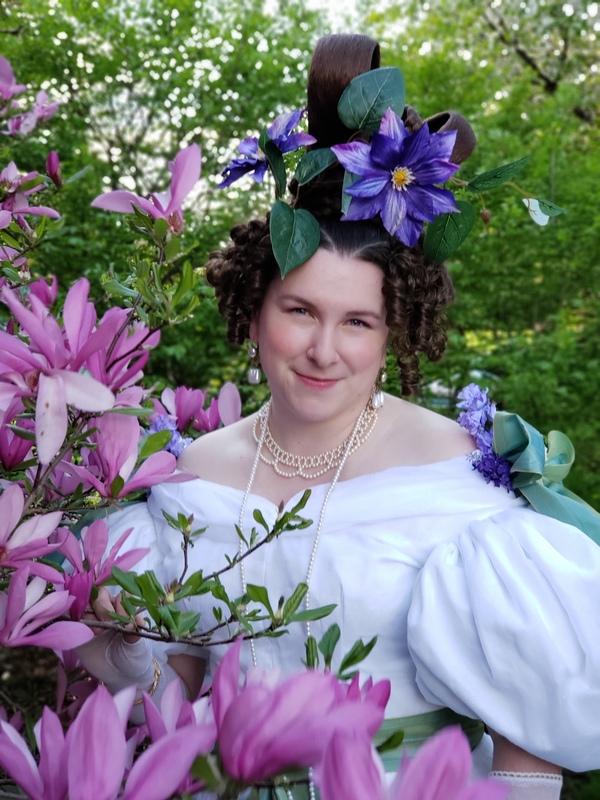 This blog was of great value to me while costuming "She Stoops To Conquer." Keep up the excellent work. Hopefully anon will get the sacque! I for one am glad they left interior seams raw, because I hate finishing them! It sure makes it easier! There is a lesson here (well there are a number of lessons, but this one I want to point out). That lesson is that we can't assume that simply because a garment was entirely hand-made in a prior age doesn't mean it was made with perfect stitching and is meticulously finished, inside and out. The 18th century was disinterested in meticulous finishing and you state the reason why--they had gowns re-made so often. Medieval clothing, in contrast, was typically sewn to be wearable a long time. Different periods had different ideas about what was "economical" and practical in clothing. That's fascinating about medieval dress. I had no idea, but it makes sense! Also, class is a factor to be considered. Many of the gowns that survive are 'fashion', whereas servants, and lower orders will have had more robustly made clothing to withstand daily wear and tear. Thank you for sharing your observations and thoughts! Your posts are always so interesting and informative. That is a very good point. It wasn't just exclusive to Germany either - you get this transition in England as well, from tailors to mantua-makers, and as you point out, some garments remained the work of tailors, like the court gowns and riding clothes. I'm not really sure why "Anonymous" said this shouldn't be labeled research. Research doesn't have to be done with an academic voice, and I loved this post, because it fascinates me to see the insides of the dress. Also, I really laughed at the "some random Pinterest board," when I clicked through and saw it was YOUR random Pinterest board. Well, funnily enough this post might just be the kick in the pants I need to submit for publication a piece of research I've been sitting on for a few years now. My MA research was on 18th century women's clothing construction in England and the working lives of needlewomen. 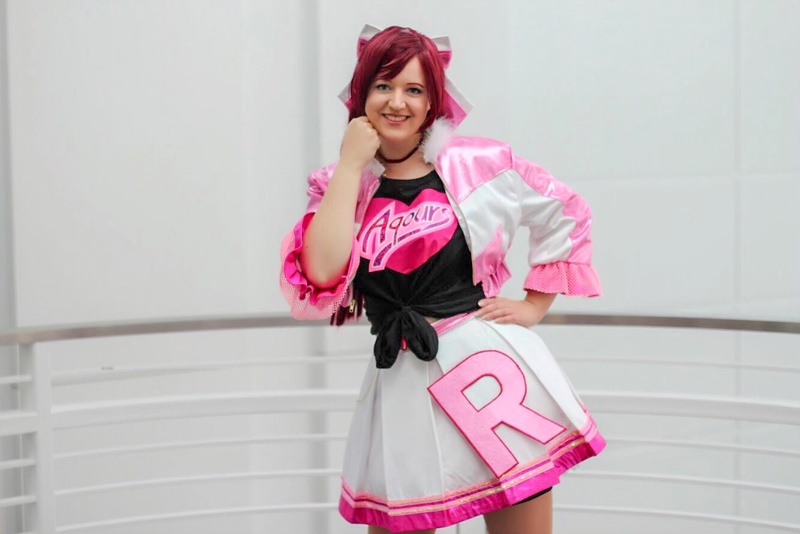 I wrote an article based on this and have been wondering about submitting it to Costume. I think now I will as it appears it may really be relevant after all. 1. 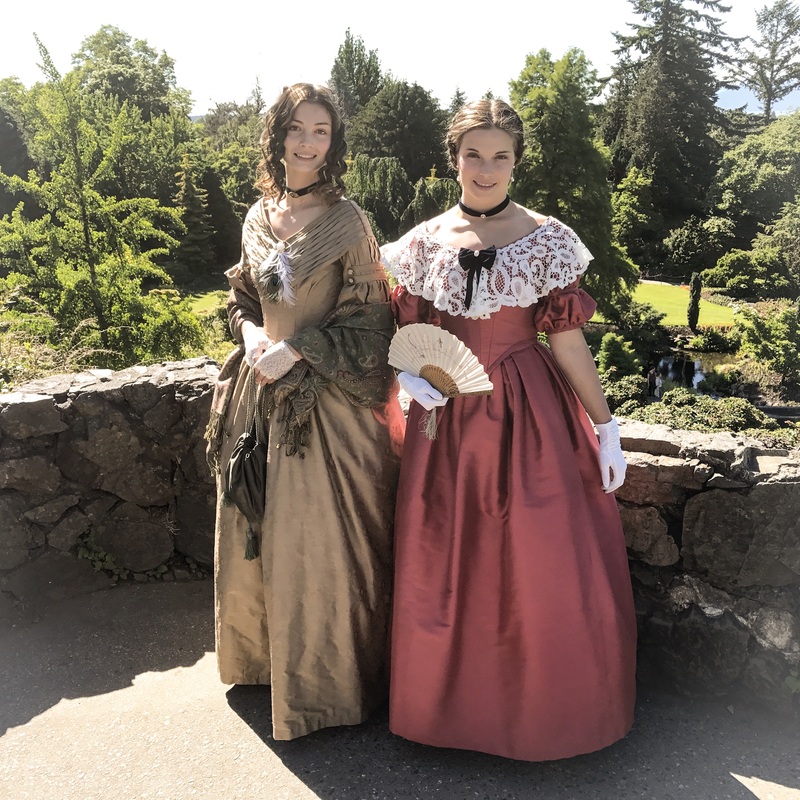 Which you actually do touch on in a way - that the approach and sensibilities towards women's dress construction at the time was very different from our own. To which end, I do not think it appropriate to make value-based comparisons between pre- and post-industrial work. What was actually considered "neat and tidy" work in the 18th century meant something different than it does today. 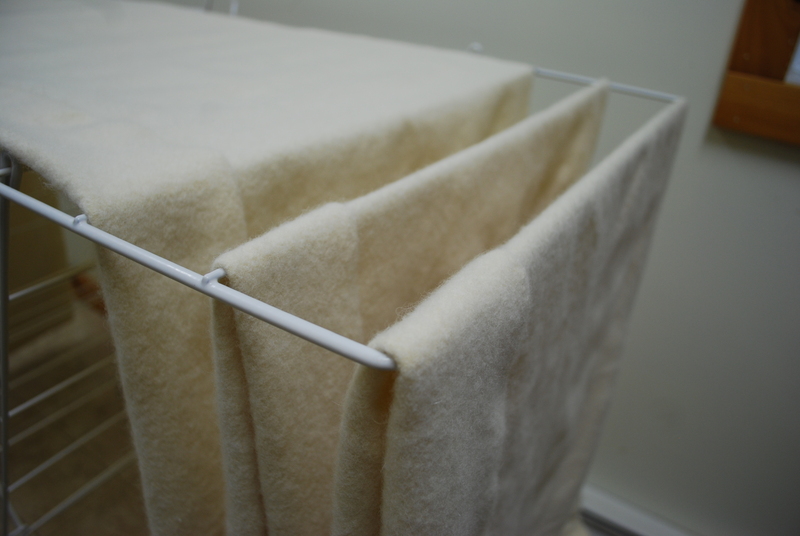 Even with regards to raw edges at armholes and waist seams, these are not random actions. 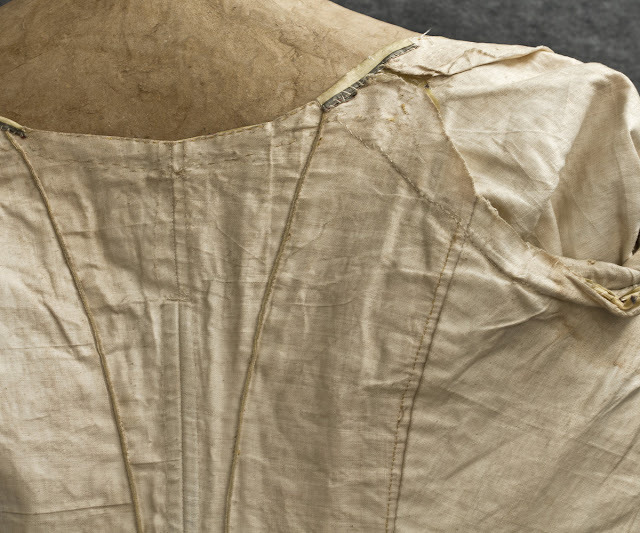 These are very consistently the *only* raw edges on the insides of women's 18th century gowns - this was intentional. 2. 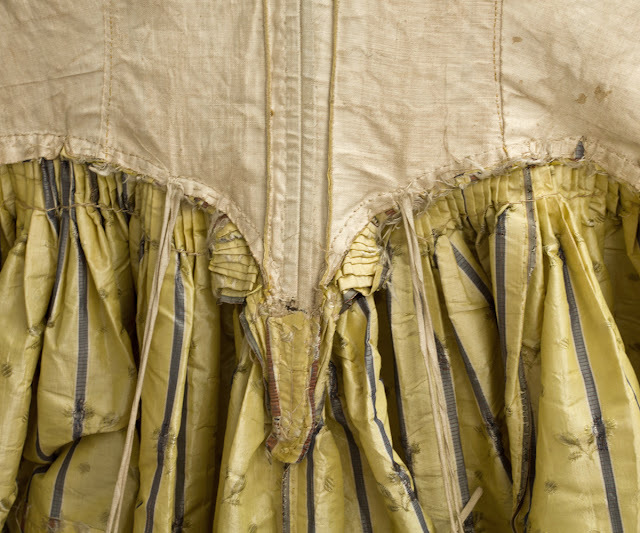 Chances are, when you see a really messy 18th century gown interior it's because it was altered later in the 19th century for use as a costume (theatre or fancy dress). I have examined, up close and in detail, inside and out, 400+ women's 18th century garments in the UK, Canada and the US (so - I am speaking primarily of the English-speaking world, less so continental Europe) and approximately 90% of those show evidence of alteration in one form or another (which topic actually formed my PhD work, during which I performed 3/4 of my object-based research). The single most common type of alteration amongst these was later 19th century interference for costume-use purposes. Examining the few un-altered garments that survive one finds extremely neat and tidy stitching with very consistent techniques used throughout the century and across distances. Again, *only* armholes and waist seams are ever left raw-edged. Even when these garments were altered during the 18th century the work tends to be fairly neat - understandable when you consider how valuable clothing was. It's only when you get into alterations made a century or so later when the garment is not valued as clothing anymore but is relegated to playing dress-up that really shoddy workmanship is in evidence. I could go on and on in more detail but I should probably save something for the article itself, lol! However, this has also given me an idea for possible posts on my own blog. Perhaps I should put more effort into sharing some of my research on there, what you share here is so often so helpful! It took years and careful examination of literally hundreds of garments for me to feel confident in making my claims so I hope you don't think I'm criticizing you - I love you and what you do!!! Oh PLEASE publish your paper! Yes, please! I think this is a fascinating subject and should be talked about more. Your article would be fantastic and extremely helpful. @themodernmantuamaker Thank you for your comments! I was not aware that there was a pattern in 18th c dress as to *which* seams were left unfinished. I too would find your paper interesting. Would you be willing to comment again and give us a general idea as to why that was so? With you, always, Lauren. Love your blog, your posts, your patterns. Someday, someday, I'll sew again. Anonymous can go take a long walk off a short pier. Geez, what a grump! I love your blog and eagerly look forward to each new offering. Your writing is relatable and friendly - I feel like you're learning right along with us, not that you're declaiming from the mountaintop "how things are." Keep it up, and don't let the sadsacks who won't put their name on their less-than-authoritative rebuttal get to you. Thank you for a very interesting post. I love being able to see the internal structure of a garment, whether it be in photos, or the real thing, so keep up the good work! I enjoyed reading your initial post as I knew little about historical clothing. As far as I'm concerned Anonymous should take a long hard look at how she/he presents him/herself to others. 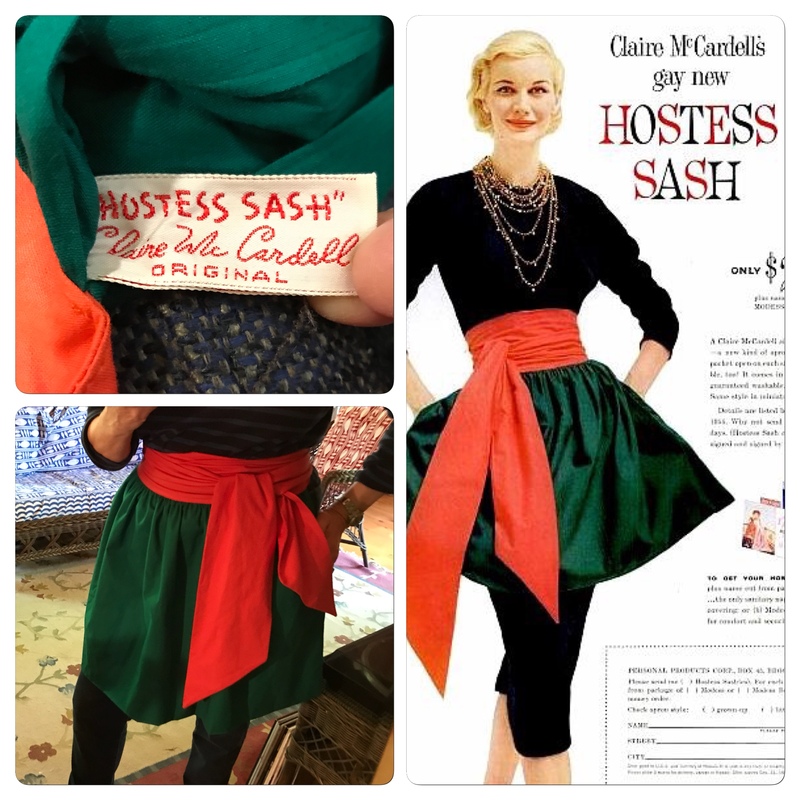 I have a few pieces of very old clothing passed down in our family through the years. I'll have to look and see how they were or weren't finished off. It doesn't appear that anyone cared for Anonymous comments which speaks volumes. I will return to your blog and hope anonymous doesn't.